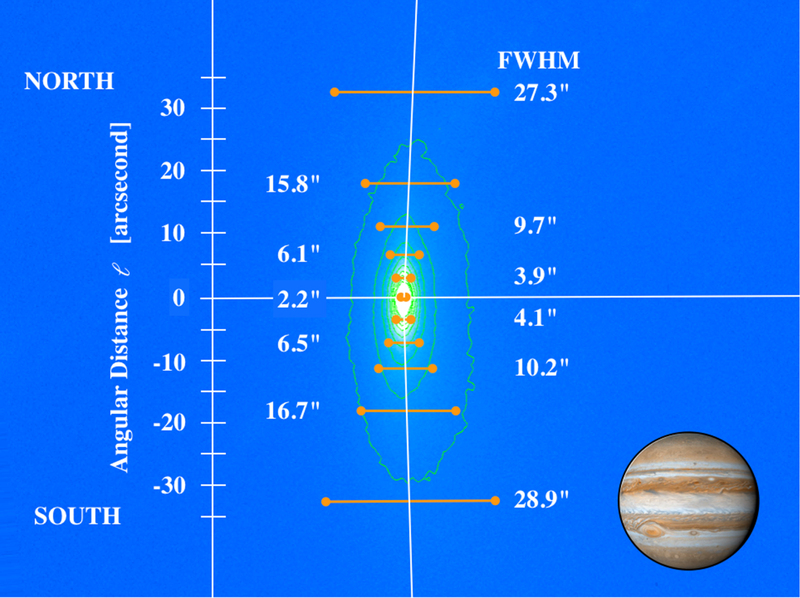 2019 The Astronomical Journal 157 103. Contoured image from UT 2018 March 11 is overlain by measurements of the full width at half maximum (orange bars, labeled by their numerical values) as a function of distance from the nucleus, ℓ. The inset image of Jupiter (140,000 km diameter) shows the scale. © 2019. The American Astronomical Society. All rights reserved. Copyright © 2019 Astronomy Image Explorer. All Rights Reserved.